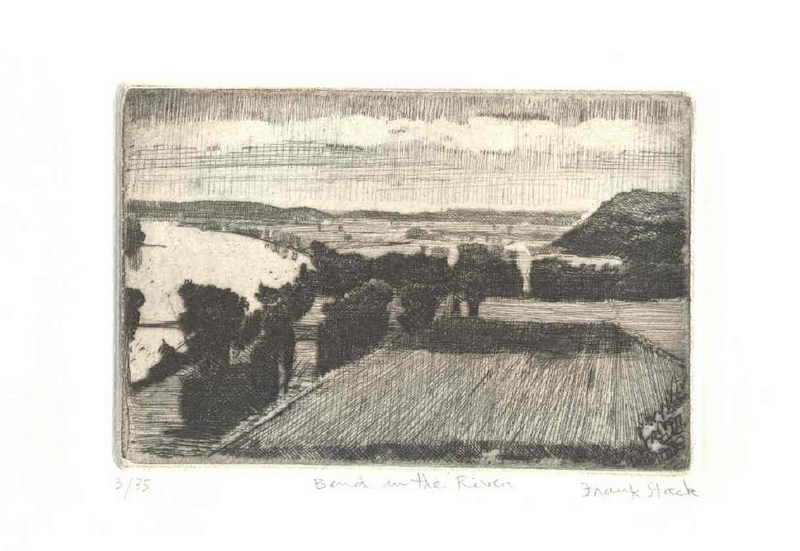 This original hand-printed and pencil signed etching represents a bend in the Missouri River. The impressionistic quality of the image is achieved with hatched and cross hatched lines, stage bitten to produce variations in value. This is the 3rd impression from a limited edition of 35. Image size: 4" x 5.8." sheet size 8.2" x 10."